It's not very often that we get to explore a renovation where a home is transformed from a ruin into a piece of architecture and design that is worthy of awards. 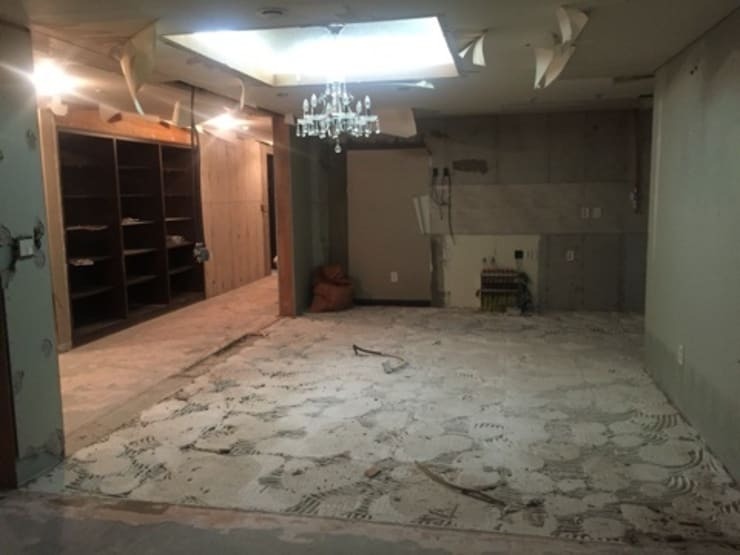 Interior designers and professionals in their field, Design Seven, are responsible for this impressive before and after, which will leave you hopeful that just about any dump can be transformed into a functional yet stunning home. We are going to see how this space, which was in such bad shape, has been magically restored! If we head into the living room before the renovation, we can see how creepy and crawly the space seems! The flooring or carpeting has been lifted, revealing concrete that is anything but industrial chic. The walls are falling apart and this space seems dangerous with all of the wires and pipes that are exposed. The lighting is the most eerie part of all however. A chandelier, which was probably at some stage quite grand, hangs precariously from the ceiling. However the room looks like it should be featured in a disaster flick, because the ceiling looks like it is about to cave in! Can you believe that this is the same room? 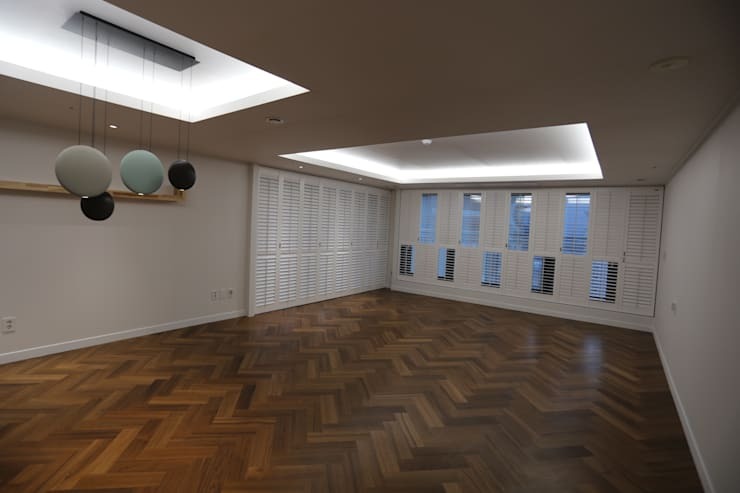 Parquet flooring has been installed, giving this space a very modern, chic and warm look and feel. The walls have been restored and repainted a soft cream color, which contrasts beautifully with the functional yet trendy white shutters on the windows. The chandelier is also gone! It has been replaced with soft modern recessed ceiling lights as well as some very trendy hanging lamps, which make this room incredibly sophisticated and appealing. 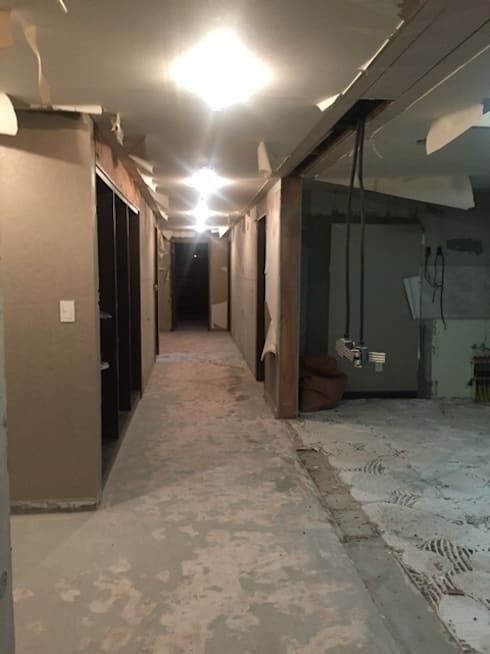 The hallway in the home was just as grim as the living room space, with it's concrete floors and peeling walls and ceiling. Wouldn't you feel nervous walking through this space? It feels like someone is going to jump out you! The lighting is too bright in this space, which makes you feel like you heading down the corridor of a haunted hospital. The hallway has been completely transformed thanks to these impressive designers. 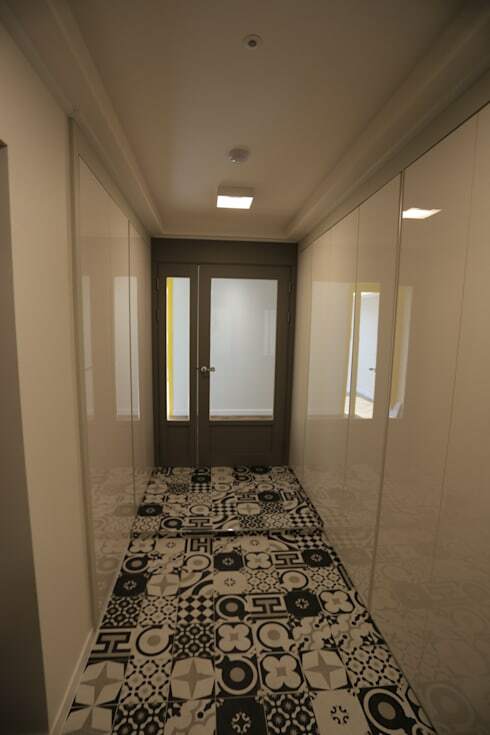 They have placed very funky patterned tiles on the floor which gives texture, character and charm to this space. The designers have lined the hallway with very glossy, modern and minimalist white cupboards. This is functional, creating a space where linen, jackets and shoes can be stored neatly out of sight, as well as a decor trick to brighten the area. The lighting is also significantly improved, creating a hallway that is much cozier. Have a look at this ideabook: be swept off your feet by these hallway floors. 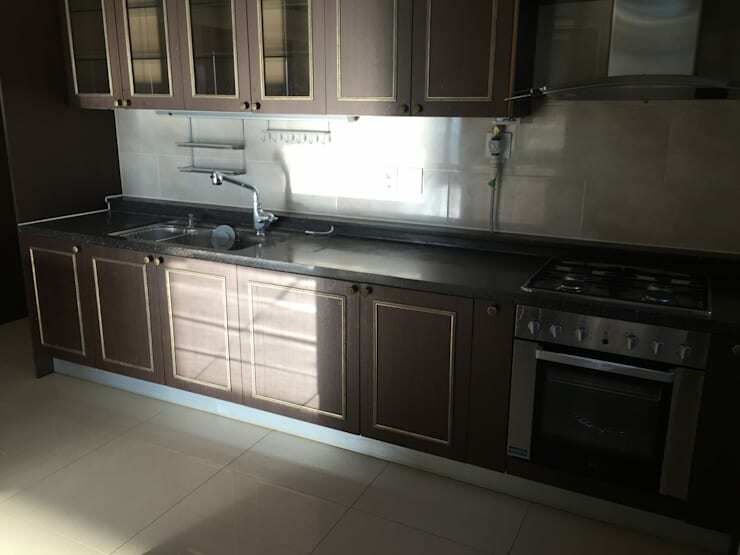 The kitchen is very boring, plain and dull thanks to the old brown cupboards and cabinets, the plain floors and the lack of color in this space. When you head into your kitchen, you should feel inspired to cook up a feast! There is nothing inspiring about this space. 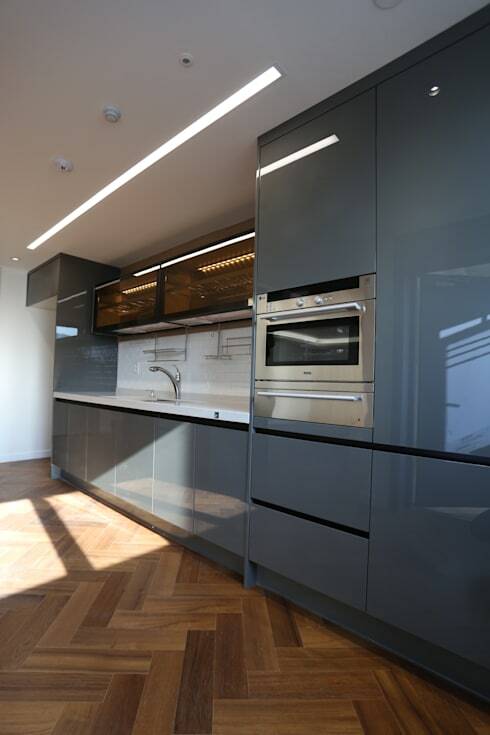 The designers have replaced the old cabinets with fresh blue-grey ones, changing the whole ambiance of the space. How much more inviting and warm does this space feel? You'll also notice that there are no items such as crockery, cutlery or condiments littering the countertops. The designers have ensured that there is plenty of storage to keep everything neatly out of sight. This makes for a very clean and spacious kitchen that anyone would be proud to cook in. Have a look these 6 smart kitchen storage solutions. The bathroom before the renovation was in a better state than some of the other rooms, but still not largely appealing. 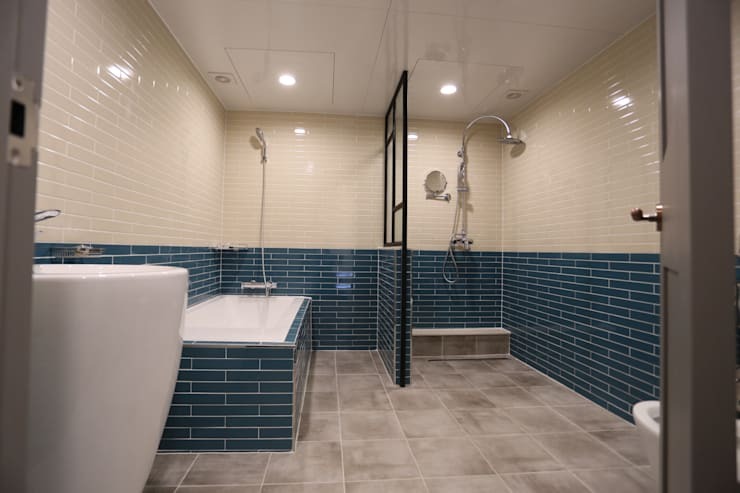 The shower and the bath tub are very old-fashioned, while the floor and wall tiles create a very cold and uninviting environment. This space is also very dark and depressing! There is no natural light and the artificial lights fail to illuminate the space. The bathroom has been completely renovated! The colors have been changed to a blue and white, which creates a much more cheerful, bright and inviting atmosphere. 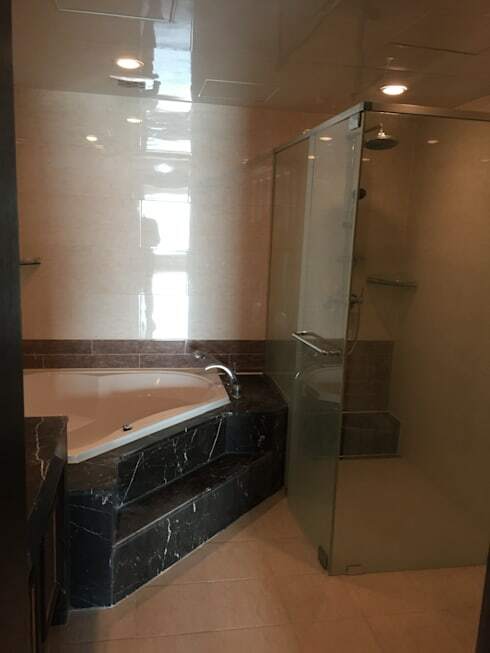 The designers have also gotten rid of the odd-shaped bath and shower, which opens the space up completely. There is now plenty of room. The lighting is also significantly improved so that you can see exactly what you are doing in front of the mirror without any fear of a cold claw reaching for your neck.